Recently, a friend and co-worker of mine totally made my morning by bringing these delicious cookies to work. 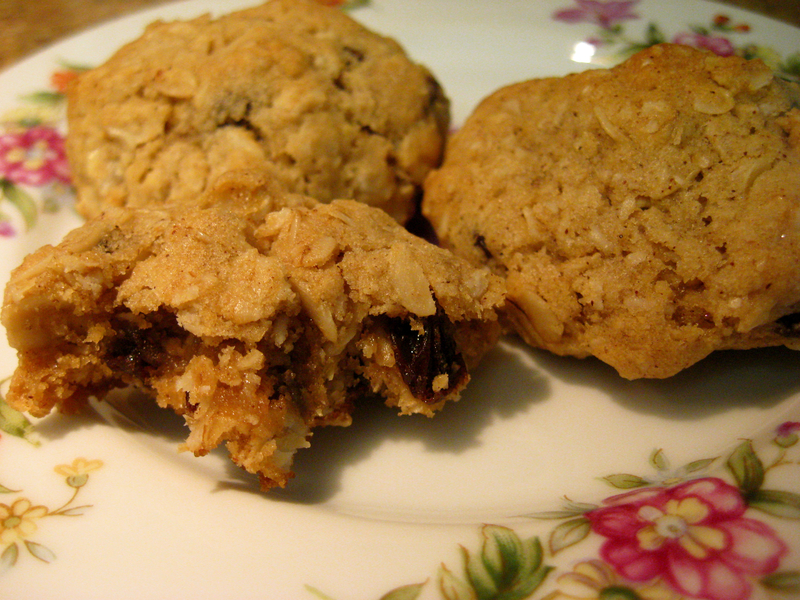 Oatmeal Raisin Cookies are often overlooked and passed up for something chocolate, or for a more complicated recipe. Sometimes, we forget just how wonderful a simple, tried and true recipe can be. This cookie is flavorful, has some healthy ingredients (always a plus), and it is SO easy to make! The recipe for this cookie comes from Smitten Kitchen, a blog I will definitely be following from now on! The recipe yields about 2 dozen small cookies. 1) In a large bowl, cream together the coconut oil, brown sugar, egg and vanilla until smooth. 2) In a separate bowl, combine and whisk the flour, baking soda, cinnamon and salt together. 3) Stir the dry ingredients into the wet mixture. 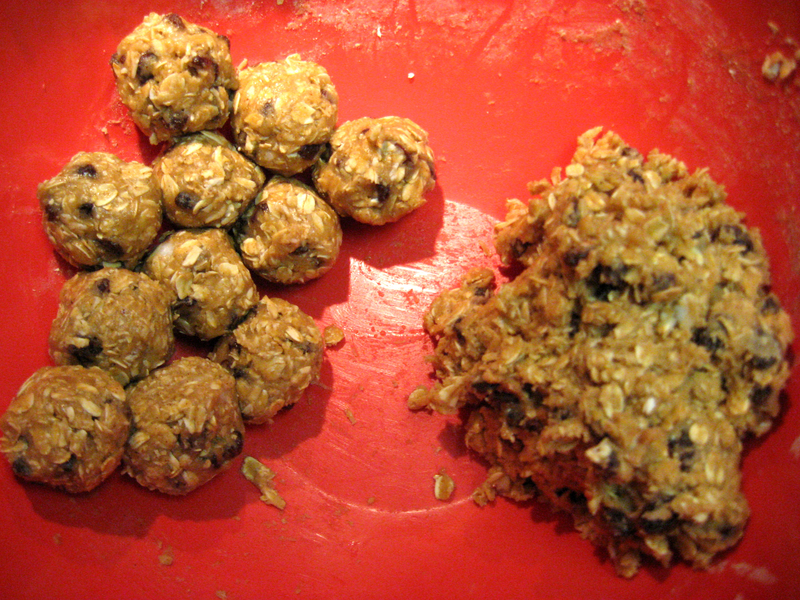 Add in the oats and raisins. The coconut oil has a tendency to hold lumps. My solution was to hand-mix the batter after all the ingredients are incorporated; that way I could smoosh out any remaining lumps of coconut oil. 4) Shape the dough into small balls, and let chill while you pre-heat your oven to 350°F. 5) Place 6 balls onto a cookie sheet line with parchment paper. Bake for 11-12 minutes. The best thing about these cookies is they are crispy on the outside, but still soft on the inside. This recipe is definitely being added to my big red cookbook. 🙂 And if you wanted something sweeter, you could add some chocolate chips — or I’ve even seen oatmeal raisin cookies with M&Ms in them! I made these on Sunday morning, and I would highly recommend them for the breakfast in bed tray next Mother’s Day! 😉 The thing I love most about this recipe is how it combines two of my favorite comfort foods: pancakes and cinnamon rolls. See the original post and recipe here! 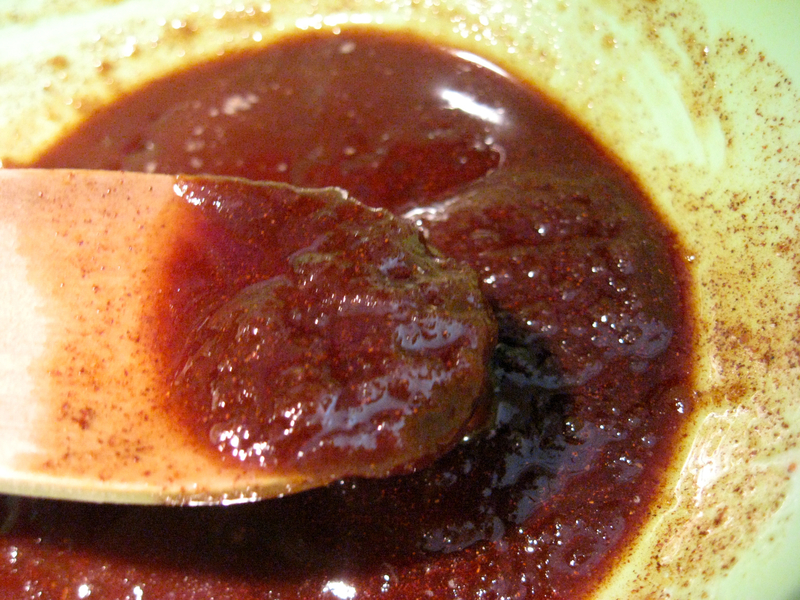 To make the cinnamon filling, mix the melted butter, brown sugar, and cinnamon in a small bowl. Transfer the mixture to a ziplock baggie and put aside to thicken. It helps to “massage” the baggie occasionally, even though it makes you feel silly! 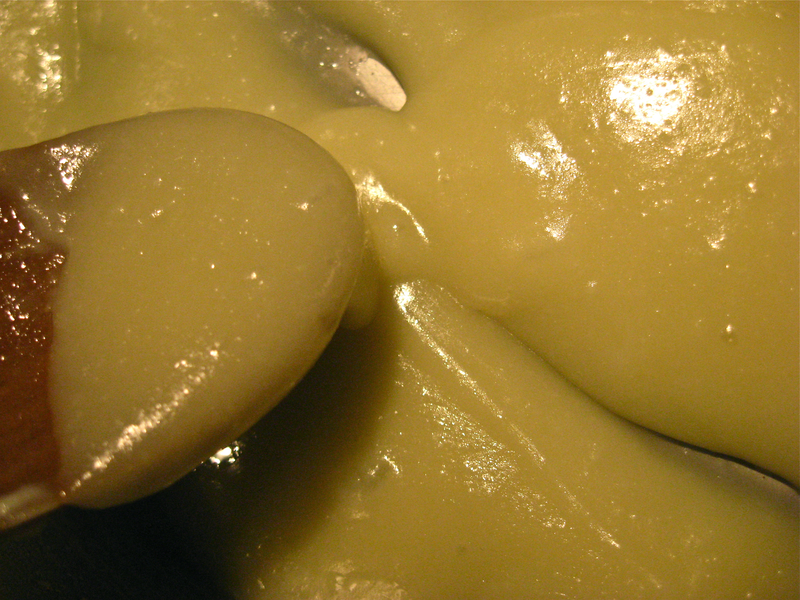 To make the glaze, melt butter in a small saucepan over low heat. Remove and add the cream cheese, whisking until it is almost smooth. Slowly add the powdered sugar, and then add in the vanilla extract last. I also added a little milk to thin out the glaze and make it easier to drizzle. To make the pancake batter, whisk two eggs in a medium bowl until frothy. Add the milk, melted butter, flour, sugar, baking powder, baking soda, salt, and vanilla. 1) Heat a large, nonstick skillet on medium heat. Use butter or vegetable oil to grease the pan. Add the batter, and reduce the heat to medium low. 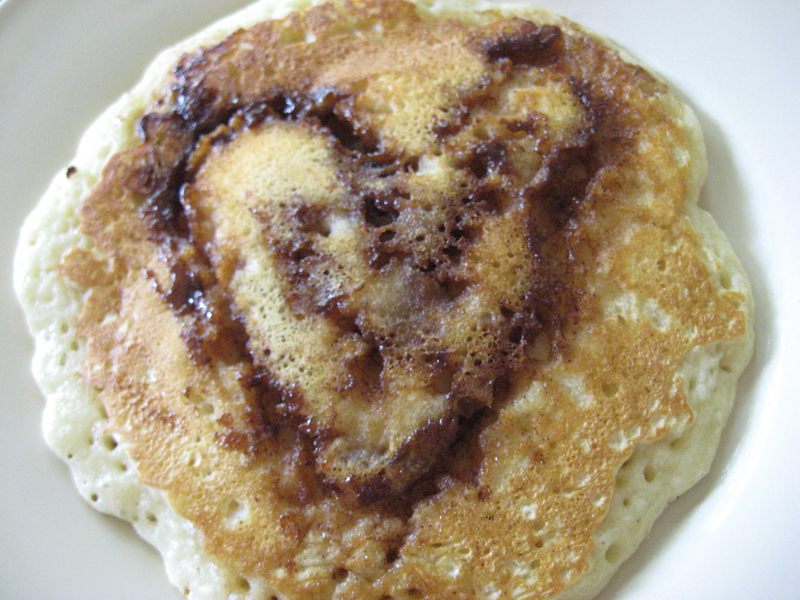 When your pancake begins to form bubbles, get ready to add the cinnamon filling. 2) Snip the corner of the ziplock baggie. 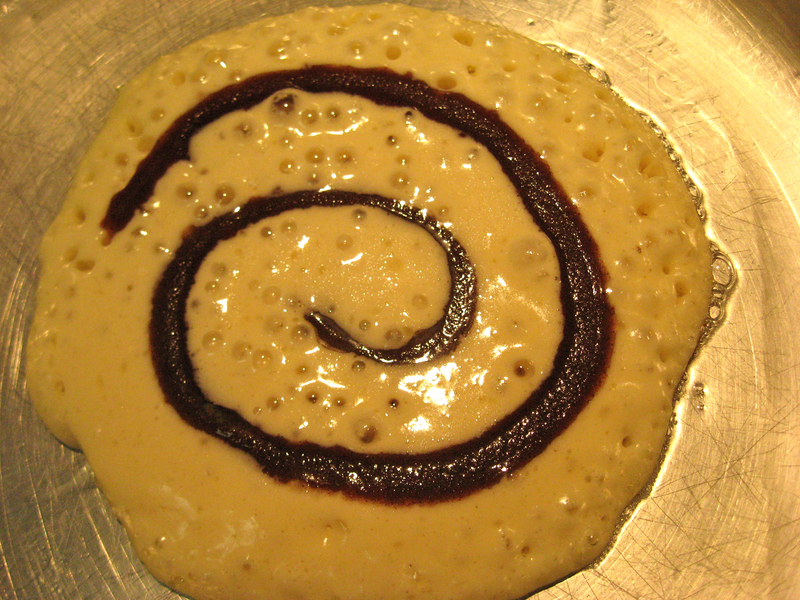 Starting at the center of the pancake, squeeze the filling in a swirl. Don’t go too close to the edges of the pancake! If you’re feeling creative, you could try some alternate designs! You can taste the love! 3) Cook the pancake 2 minutes on low heat, or until the bubbles begin popping on top of the pancake. Flip and cook an additional 2 to 3 minutes. When you remove the pancake, make sure to wipe the pan clean with a paper towel for the next one. 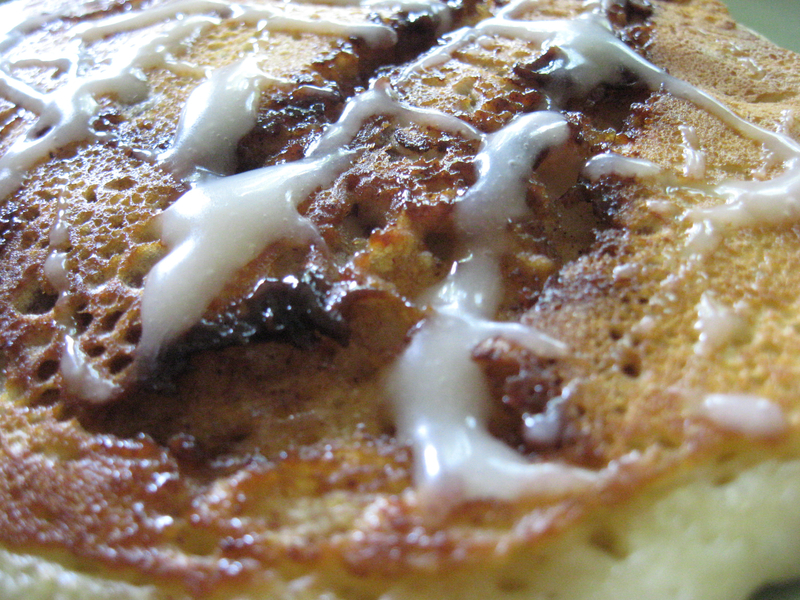 4) Serve pancakes topped with a drizzle of glaze! I am officially in mourning for my vacation! We didn’t go far, but that week away from the hustle and bustle was amazing. 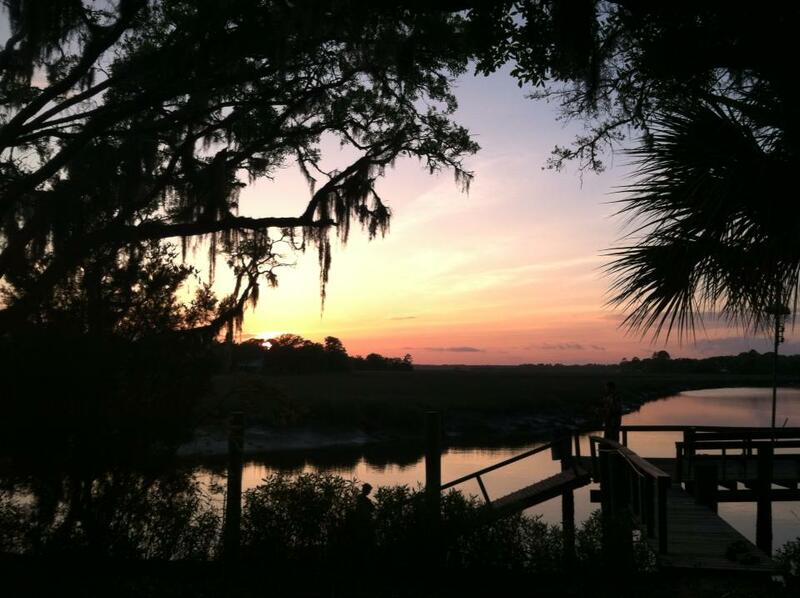 Our little house on the marsh was quaint and secluded — and I loved it! We spent our days fishing off the dock, taking long walks around the property to catch a glimpse of the deer, reading on the porch in the big swing, watching the sunsets while the frogs chirped, combing the beach for shells, and eating lots of good food. Everything seemed beautiful, and interesting, and special. I got to wondering, do the people who live here feel like this everyday? I would guess that most of the residents of Edisto are no longer made giddy by the sight of a conch shell or the smell of the ocean. Having grown up in Savannah, Georgia, I can understand. When you live in a tourist town, it is so easy to become desensitized to the magic and wonder that draws visitors from far and wide. Why does the simple declaration of “vacation” seem to change our point of view? Tourist attraction or not, every place has something special to offer: natural beauty, history, architecture, quirky restaurants or shops. We just overlook them when they are part of our everyday lives. But when we’re on a trip, suddenly we appreciate the sights and sounds around us, and take joy in little things like seashells. I am lucky enough to live in the capital city of Columbia, which is brimming with things to do. I think it is time to play the tourist and find those small adventures and beauties hiding in plain sight. All it takes is a fresh pair of eyes!